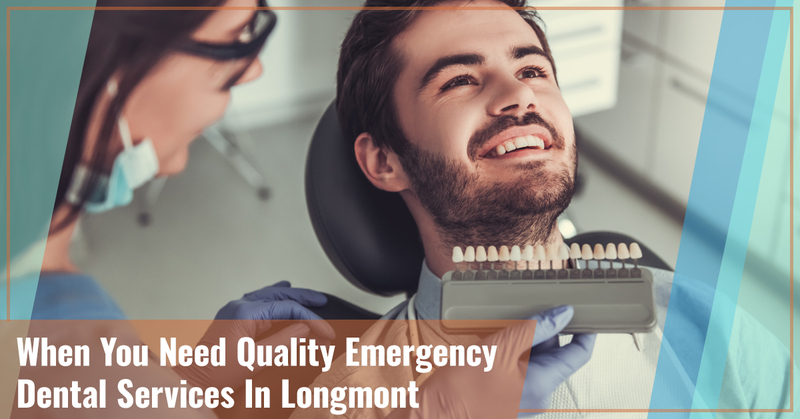 It’s reassuring to know that, should a dental emergency arise, you have a place to go to in Longmont that will take care of your, or your loved one’s, emergency dental care needs. Learn more about what our dental office can do for you when you need gentle dentistry in a hurry. 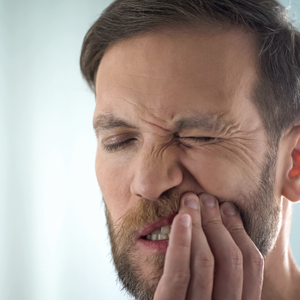 The Pain Is Intolerable: If you’re experiencing a toothache or pain anywhere inside your mouth that you simply can’t tolerate, it’s time to seek an emergency dentist. A Permanent Tooth Is Loose Or Has Been Knocked Out: This is an emergency situation that needs care right away; the sooner you can be seen, the more likely your tooth can be saved. You’ve Injured Your Jaw: This is a serious, and often very painful, situation that requires immediate attention. Bleeding That Won’t Stop: It’s normal for the gums to bleed occasionally, but if there’s bleeding in your mouth that won’t stop, seek an emergency dentist right away. Swelling That’s Painful: This is an indication of an advanced infection that needs to be treated right away before it spreads and creates more problems. Cracked Or Broken Tooth: This may or may not be an emergency; call your dentist to find out whether you need immediate attention or the repairs can wait for the next available non-emergency appointment. When you go to our dental clinic, or any other one that offers emergency services, what can you expect? First of all, we quickly assess the problem to determine the fastest way to bring you the relief that you need. If you’re in considerable pain, we work to reduce your pain to a manageable level. Next, we do whatever the case warrants. If you have a knocked-out tooth, we work quickly to try to replace and salvage it. If you have an infection, we treat it right away and schedule a follow-up appointment to check your progress and take care of any other dental work that’s needed. In an emergency, we think on our feet and treat each patient on a case-by-case basis. You can be assured that in all we do, we employ gentle dentistry practices to minimize your discomfort and improve your current dental health. If you’re experiencing a dental emergency, please consider visiting the Smile Designers in Longmont. We will work quickly and compassionately to give you the immediate attention you need.